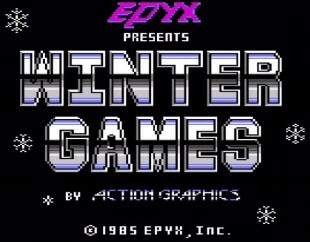 Epyx was one of the great developers in the 80’s, and they produced one of my favourites: Winter Games. 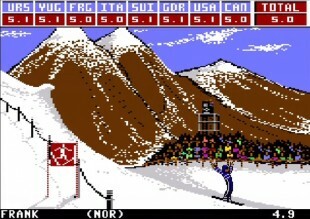 The game was released on multiple platforms in 1985, but it’s the Commodore 64 version I’ve played and love. 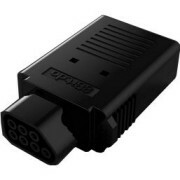 The version played for this small test, is the Virtual Console version on Nintendo Wii (which is no longer available). The number of events varies slightly from which platform you play it on. 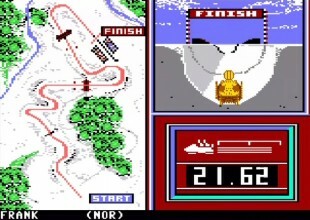 The C64 version have seven events. The video bellow shows a quick playthorugh of the events in the game. 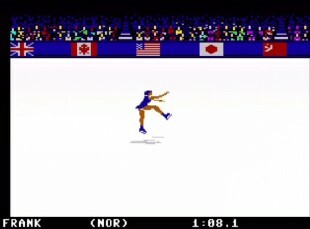 This is a freestyle event where you have to twist and turn to get a great score. This is a fun event. Combining cross-country skiing with rifle shooting. Find the rythm by moving the controller from left to right, and watch out for the your puls. You go up and down hills before you have 5 shoots in 4 rounds before the event is over. Very fun! This is probably the easiest event to win, at least for me. Just find the right rythm, moving from left to right on the controller. It’s a hard event to get a good score (for me), and it’s easy to fall when you land. You have to time the jump right to fly down the hill and land with your feet together. It sounds easy, but you might need some practise to get it right. 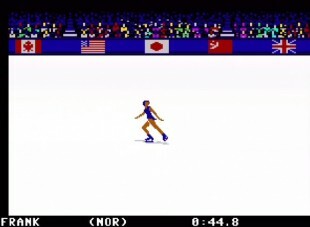 This is essensily the same as Figure Skating, but this event last 2 minutes opposed to 1 minute. This is one of my favourite event. Learn the twist and turns in the track, race it again and again to beat your own record. 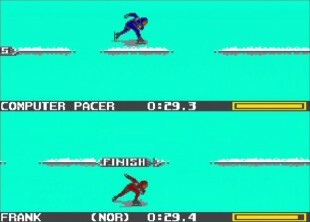 In Winter Games you can practise in single events, compete in selected events or take the full Olympic Games. 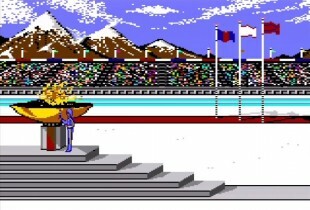 I’ve found memories from this games, and it’s still one of the better games in the Olympic games-genre. 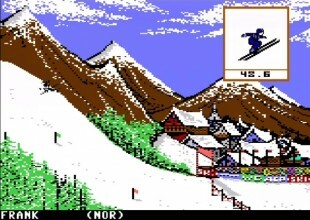 This entry was posted in Commodore 64, retro, review, Virtual Console and tagged 1985, Commodore 64, retro, review, Virtual Console. Bookmark the permalink.